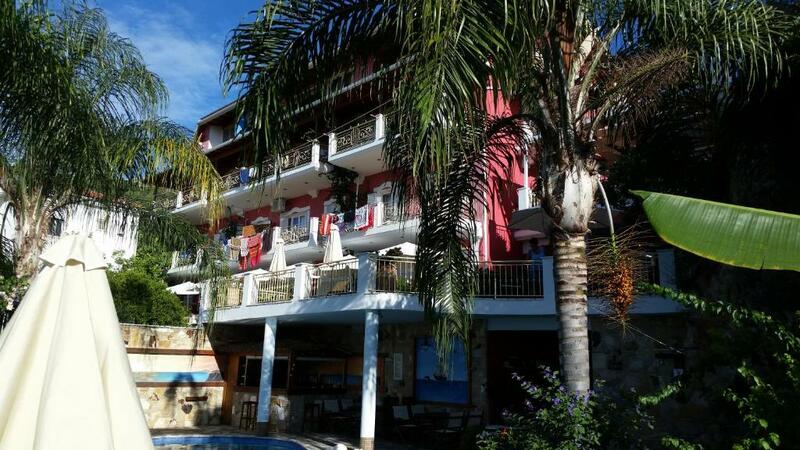 Located 8-12 min drive from Parga harbor and two lovely beaches. Filoxenia Sea View has gorgeous gardens with numerous flowering bushes, trees and flower beds surrounding hotel territory and swimming pool and give privacy to the guests. The breakfast area has wonderful views in addition to amazing food, eggs to order cooked by Vasilis, freshly squeezed orange juice, wonderful coffee, yogurt, some homemade items, jams, and more. Christina and Vasilis are wonderful hosts. Christina speaks fluent English, takes lots of interest in her guests, and took good care of our needs. The hosts were amazingly nice, helping us and reccomending all the best places and beaches around the area. The breakfast was very good, with fresh orange juice and omlets made every day for each person's taste. You have parking places on site. The pool area is very well mantained, with exotic plants and sunbeds relaxing corners. 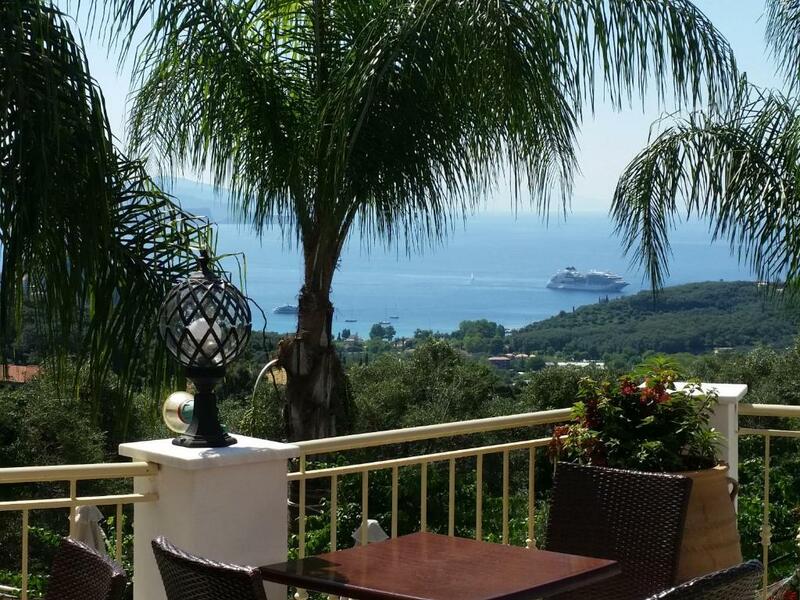 You have most beautiful views from all the rooms, as they are all looking towards the downhill Parga town. Excellent hosts, very friendly and helpful. 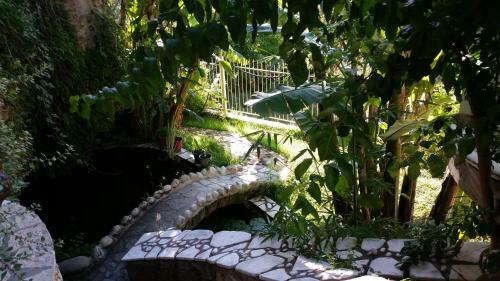 Nice location with panorama, good guests facilities, neatly clean room, comfortable beds. Access roads are a bit steep, but we got quickly used to them. Ms. Xristina and her husband did their best to make us feel like visiting friends, not like paying tourists. Great view, everyting new, clean, great hosts, good breakfast ! EXCELLENT hosts. The breakfast is very good. The views are nice. Good swimming pool. Short walk from cute little town and little waterfall. Great location out of the heart of the main town. The rooms are spacious and full of ammenities. Absolute gem of a place. Everything was wonderful. Service, apartment, ambience, views, cleanliness, facilities, breakfast, Although it doesn’t have a restaurant I have rated highly for the provision of a superbly presented home cooked breakfast. Our hosts were overwhelmingly helpful it was as if we were visiting friends, they went out of their way to make us as comfortable as possible. Would highly recommend for a relaxing revitalising holiday. The host was very friendly. The view was amazing. Amazing place, I'm usually quite picky, but I could not find anything negative... cleanliness, comfortable beds etc. Vasilis and Christina are really doing a great job there, and I highly recommend this place to anyone. Impressive: Fresh milk everyday (no crap UHT that is common), freshly squized orange juice, just to name a few. This place really exceeded my expectations and I will definetely stay there again! Well done folks, keep your good standards. It was one of the greatest stays in hotels I have ever experienced. The staff was über-friendly, the rooms were CLEAN, the breakfast was flawless, and the overall experience was phenomenal! I would recommend it with eyes closed!! Lock in a great price for Filoxenia Sea View – rated 9.6 by recent guests! 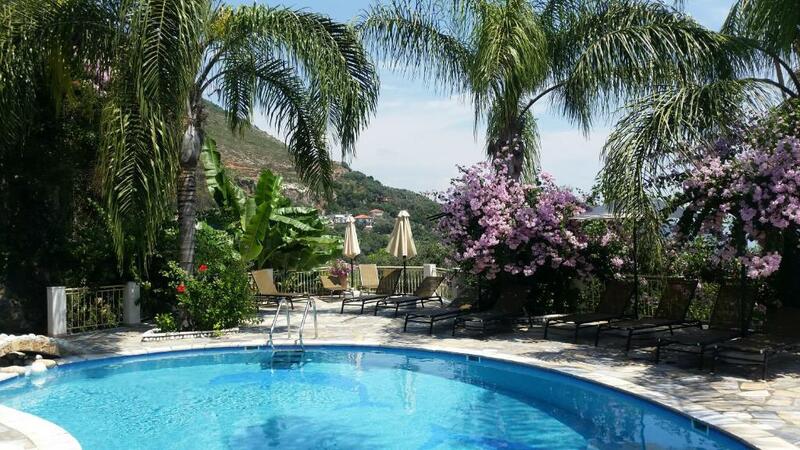 Filoxenia Sea View offers self-catered accommodations in the village of Anthousa in Parga. Encircled by Mediterranean gardens, it offers a panoramic view to the Ioanian Sea. 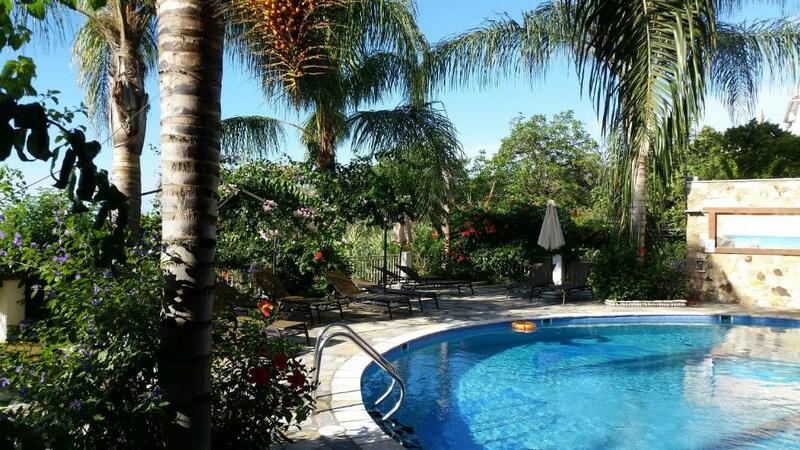 Features include a main pool with stone-paved sun terrace, a small hot tub and impressive waterfalls. Filoxenia Sea View studios boast balconies with views over the Ionian Sea across to the island of Lefkada and the castle of Parga. They are all air conditioned, and include fully equipped kitchens with fridge/freezer. Free Wi-Fi access is available in the entire property. Guests can take their breakfast each morning at the hotel. There is also a pool bar serving cool drinks and refreshments. Guests will also find bakeries, cafes and taverns within 650 feet. Filoxenia Sea View is located in the center of the village, opposite of the main church and the road leading to the old watermills and Valtos Beach. The hotel offers free on-site parking. When would you like to stay at Filoxenia Sea View? Self-catered studio with panoramic sea view. Self-catered apartment with panoramic sea view. This studio has a tile/marble floor, patio and sofa. 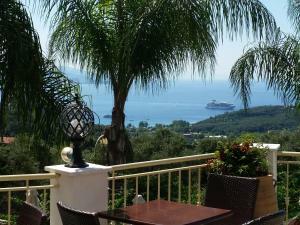 Romantically decorated apartment with a spacious balcony overlooking the Ionian Sea and the town of Parga. House Rules Filoxenia Sea View takes special requests – add in the next step! Filoxenia Sea View accepts these cards and reserves the right to temporarily hold an amount prior to arrival. The owners are very polite and professional. The room was very quiet, clean and had all the facilities stated in the description. We booked the room with breakfast and it was a marvelous idea because we had an amazing breakfast with all kinds of treats. Thank you for everything, for sure we will visit again! Unfortunately we went end of season and everything local was closed, Miles up a hill and taxi service stopped 4 days before we left, the breakfast was delivered to our room every morning as the dining room was locked up , the owners were on holiday for the first 3 days of our holiday, the pool was locked up until 1-11-2018 until a Greek family moved in and the children were wanting to use it ( so not out of season) ? So pool use 6/8 days, was told the extra day booked because of flight restrictions was no extra cost ( email to prove) but no wanted 70 euros even though they advert said 60euros paid cash in hand not card ? The butter was out of date and rancid , the hob was rusted , I have photos I’ll post them . The price in my option should have reflected the facilities available, the hotel in Athens was 60 euros each night and far exceeded the cleanliness and hospitality. Our room was simple, and in need of some updates (new mattress, and bathroom renovation), but it was priced properly. The people in Anthoussa were all so nice to us. We are now going to retire to this area. The owners were absolutely fantastic with us. I am a bit taller for my age, so the bed was a bit on the shorter side, and my feet were out of the bed. Very good breakfast with fresh products. Very nice location. Perfect place, very kind host, all what you need for a wonderful holidays. The landlords were very nice and helpful. Christina recommended several beautiful beaches , which we definitely liked. Place was well-furnished , very clean . Breakfast was delicious :) (my little daughter also enjoyed a lot) Thank you! Christina and Vasillis are amazing hosts. The apartments in the lovely friendly village of Anthousa are exceptional, great pool and gardens. If it isn’t too nice walks from the the village.